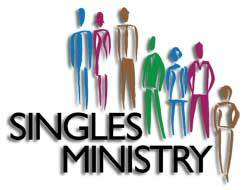 The Singles Ministry at First Church of God provides a comfortable atmosphere for singles to strengthen their relationships with the Lord and develop meaningful relationships with each other. Through Bible studies, fellowships and service projects, this ministry strives to share God’s truth about life and how it relates to the relationships and responsibilities of single adults. The mission of this ministry is to invite, equip, and encourage physically, mentally, spiritually, and morally singles, living a Christian life for the service of our Lord Jesus Christ.